Is it living off-the-grid and moving into the woods? Or is it innovatively reducing costs while still keeping in touch with urban society? Fact is, going completely off the grid might not be an option for a lot of us because of our profession, family or other lifestyle reasons. But that doesn’t mean you can’t live a self-sufficient life while staying in the city. We will cover some interesting self-sufficient living ideas which don't necessarily require you to buy a lifestyle block or go off the grid. Heating anything using electricity involves a lot of power consumption, not to mention it will substantially increase the power bill. We’re talking about hundreds of extra dollars by the end of the year. That’s a lot, isn’t it? Although a dryer is fast and convenient, it's costing you a lot of money, whereas sunlight is free - always has been, always will be. Unless access to space or sunlight are a factor where you live, try and stick to line-drying your laundry. Fortunately, we have plenty of sunlight hours in this part of the world which are warm enough to dry your clothes. On another note, there are a few more ways to save power which we have mentioned in our article - 5 ways to keep the energy bill down over summer. Master the basics of food from growing your own food and learning to cook, through to how to preserve it or use up leftovers. Not only will you be able to save massively on your food bills, you’ll avoid adding to the 1.3 billion tonnes it’s estimated we waste annually. Even if you can’t grow your own, mastering basic cooking skills will prevent you from having to buy pre-made ingredients, while learning to use leftovers will mean food goes further. Also don’t rule out pickles and ferments, very trendy and super delicious! Do you remember learning about solar energy in school? As time goes by, we forget that there’s a big ball of fire in the solar system called the sun and it can fulfil a lot of our energy needs. Fun fact: The sun is 109 times wider than earth. And unlike our earth, the sun produces heaps of energy - a substantial part of which reaches planet earth as well. Do you know what the best part is? Solar energy is free! To receive this “free” energy, you will initially have to spend some money to install solar panels. 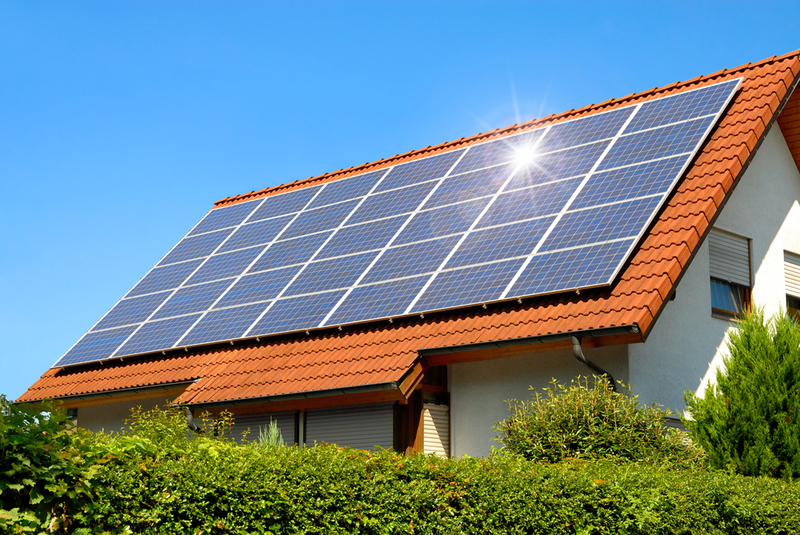 Think of it as a one-time investment- solar panels will pay for themselves in the long-run. In simple terms, solar panels absorb sunlight and convert it into electricity, which can then be used to run your electrical appliances - yes, you can keep your beers cold for cheap. If you’re keen to understand the nitty-gritty of solar energy, you might want to read The basics of storing solar energy. Here at World Solar, we have more than 20 years of combined Solar PV installation experience on residential, commercial and farm sites throughout New Zealand and Australia. What do you our customers have to say about us? One of our customers, Greg, was kind enough to leave us a lovely review on our Facebook page. Read about Greg’s experience with us below. Like the idea of self-sufficient living? Well, we have created a Guide to Simple Sustainable Living in 2019. Grab it now, it's free.